The notification of UPSC IES is out !!! Interested candidates can apply on the UPSC Official Website !!! 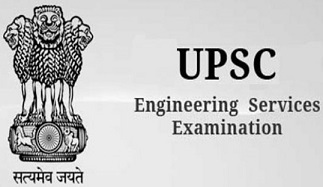 UPSC conducts IES (Indian Engineering Services), every year. This is the entrance exam for engineering candidates of technical graduates to serve under the government of India. UPSC ESE consists of various sectors like Railroads, Telecommunication, Public Works, Powers etc. UPSC ESE exam consists of five tests conducted in three-stages by the UPSC for recruiting IES personnel. Examination Level: Conducted by Union Public Service Commission of India and it is a National level exam. Must be an engineering graduate from a from a government recognised university or college. Date of Release: Official notification of UPSC ISE 2019 was released on 20th March 2019. How to Apply: Candidates have to visit the official website www.upsconline.nic.in to apply. Selection Procedure: Candidates are required to qualify all three stages of the exam. Know more about UPSC IES 2019 Recruitment. Application Window: UPSC IES 2019 Application Form window was from 20th March 2019 to 16th April 2019. Examination: The exam for UPSC IES 2019 will be conducted on 28th June 2019. Know more about UPSC IES 2019 Important Dates. Vacancies: As per the official notification total number of vacancies mentioned for UPSC IES 2019 is 581. Know more about UPSC IES 2019 Vacancy. Educational Qualification: Candidates must have an Engineering degree from a government recognized university or college. Prelims: The syllabus for prelims exam consists of General Studies & Engineering Aptitude (specific to the engineering discipline of candidate). Mains: The syllabus for prelims exam consists of General Studies & Engineering Aptitude and Mental Ability. Know more about UPSC IES 2019 Syllabus. Structure: UPSC IES have two paper and both papers will be conducted Offline. Prelims exam have objective type questions of 500 marks, duration 3 hours, and the Mains exam will be conducted for a total 600 marks and duration will be total 6 hours. Post-exam: Candidates who qualify both the exam are called for Personal Interview which is the last stage of recruitment. Details to be provided: While filling the application form candidate will be required to provide their basic personal and education details. Application Fee: General/OBC candidates will have to pay INR 200 whereas SC/ST//PH/Female candidates will be exempted from paying any application fee. Application fee can be paid both online and offline. Know more about UPSC IES 2019 Application Process. Availability: Admit card details will be updated once it is released by the conducting authority. Admit card will be issued three weeks before the commencement of the examination. Admit Card download: For downloading the admit card of UPSC IES 2019 the candidates will have to submit their application number, date of birth and security pin. Availability: Results will be updated once it is declared by conducting authority. Date: Two months after the Examination, UPSC-IES 2019 Results will be announced.